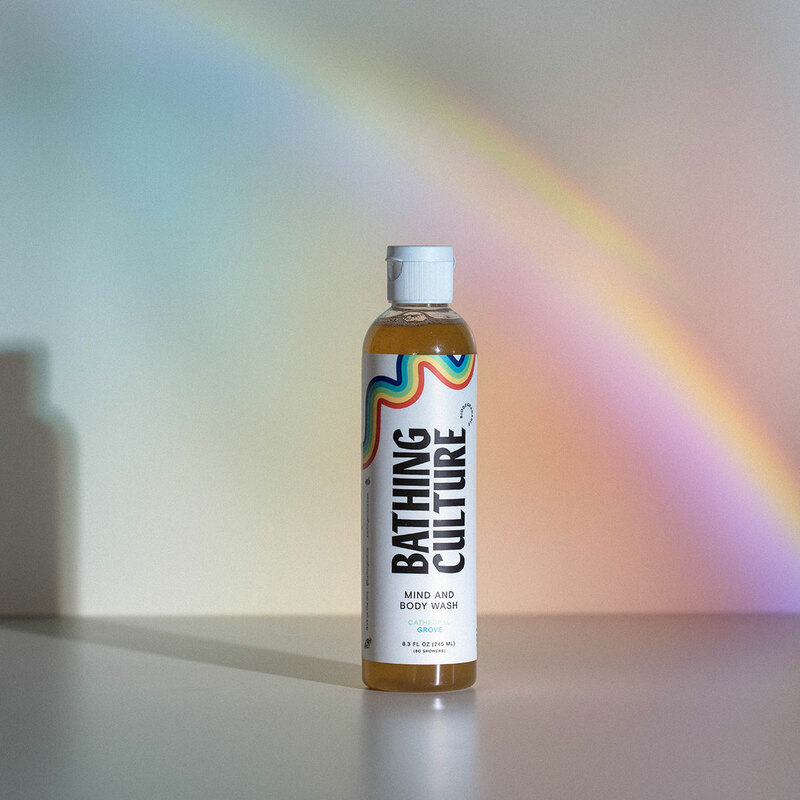 Bathing Culture Mind and Body Wash cleanses skin while imparting an invigorating feel. The super concentrated formula is made with coconut and olive oils for a delicate lather that leaves skin feeling silky soft. Shea butter lends a hit of deep moisturization, while aloe vera makes skin feel calm and cool. 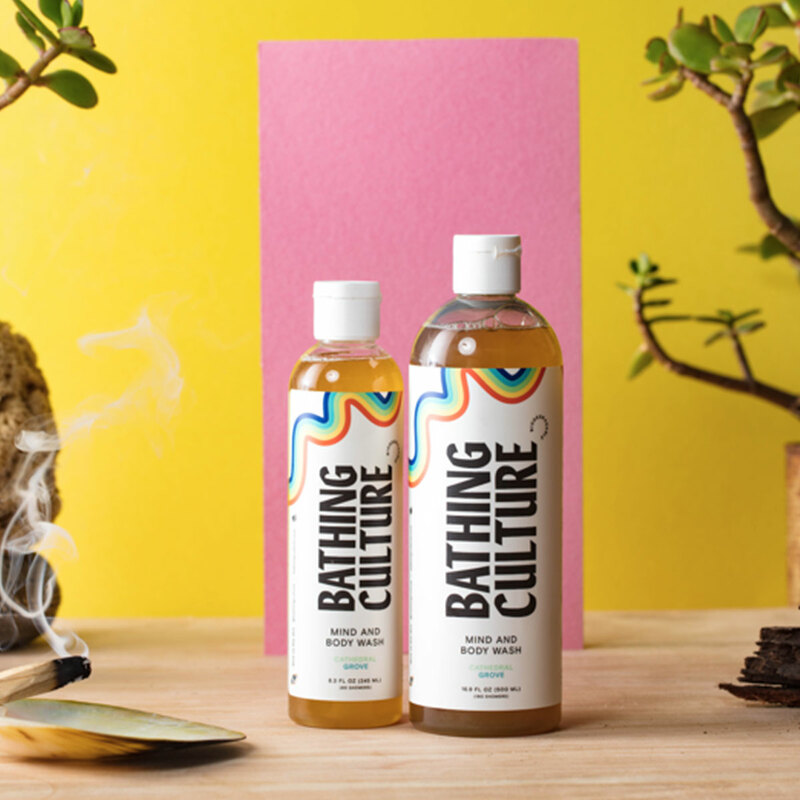 A carefully crafted blend of steam distilled essential oils creates a fresh, earthy aroma that evokes a Northern California seaside forest on a rainy day. 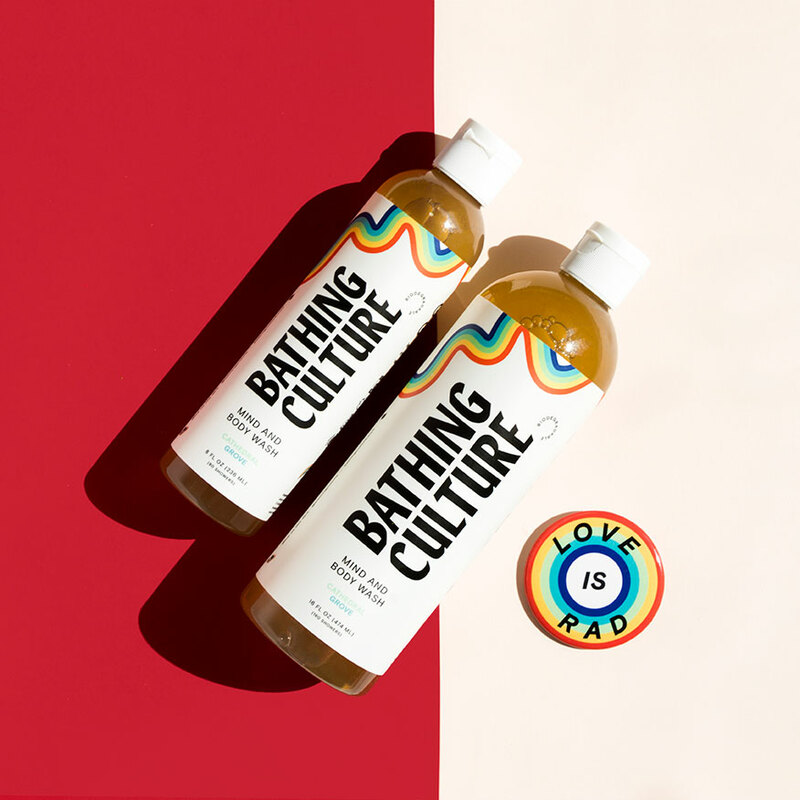 Bathing Culture bottles are 100% recycled from plastic reclaimed and recycled in California and are 100% recyclable. Use the organic body soap in the bath or shower to cleanse skin with mitt, loofah, or hands. Consider turning the water off while you lather up. Rinse well and pat dry. Repeat as desired. 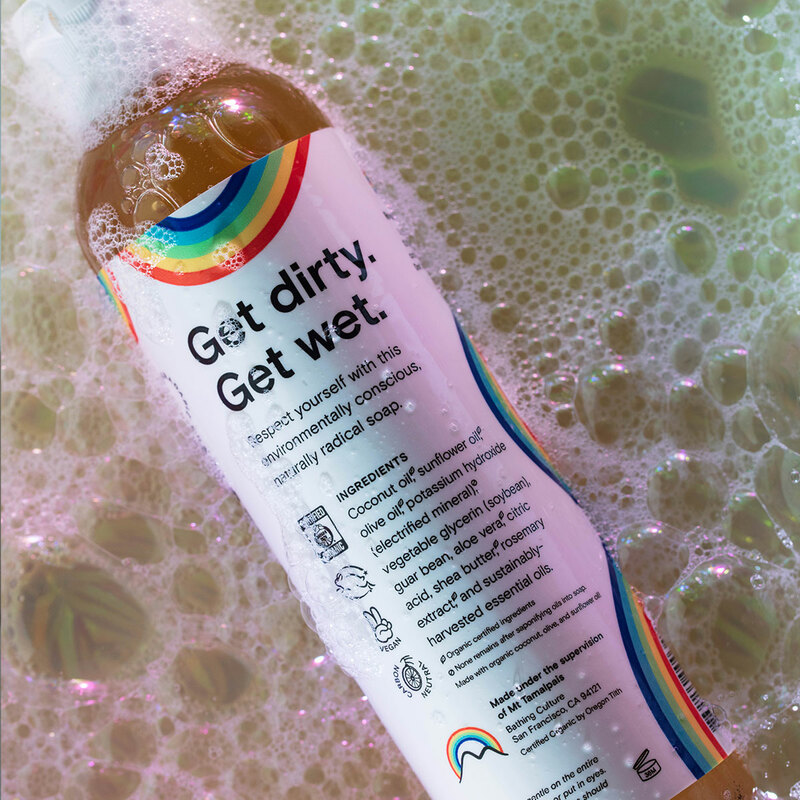 Saponified Organic Coconut, Olive, and Sunflower Oils, Natural Plant Glycerin, Aloe Vera, Shea Butter, Guar Bean, Citric Acid, and Wild Harvested/Organic, Steam Distilled Essential Oils.